You can tell it's Autumn when I start crafting continually all weekend. Somehow over Summer with the heat and the entertaining and the holidays I usually don't do much but as soon as that temperature starts to drop - I'm in up to my belly button in craft materials - and loving it. On the weekend I made a prototype of another fete stall product. I got the idea out of this months' Get Creative Magazine. It's a cute little clip board. I haven't put a notepad on it yet. 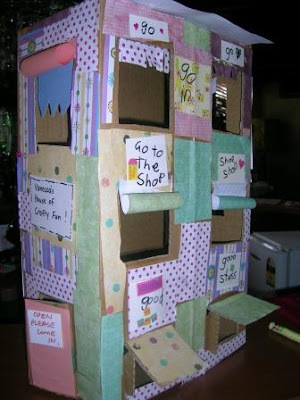 I just have to jazz up the bulldog clip a bit. And its all done. 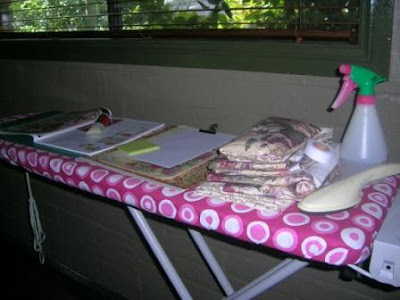 There are so many craft materials out at the moment I had to put up the ironing board for extra work space. 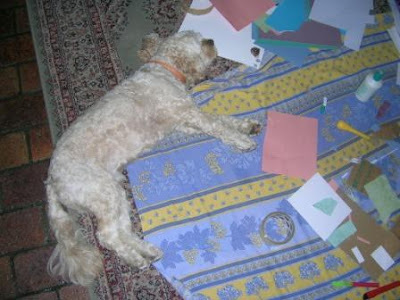 At the end of the day - even Finn had had enough crafting fun. Boy have you been busy. 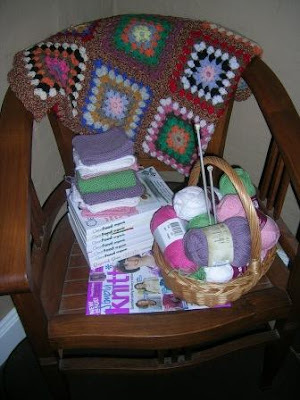 I want to sit and knit or crochet but haven't found the time of late. Guess I need to make the time :-). 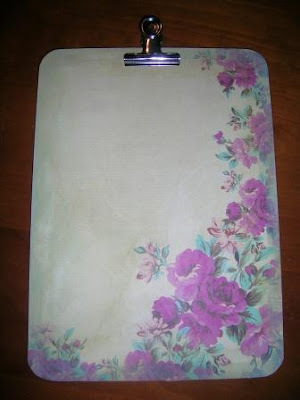 Love the clipboard. Thanks Libby and Debbie. 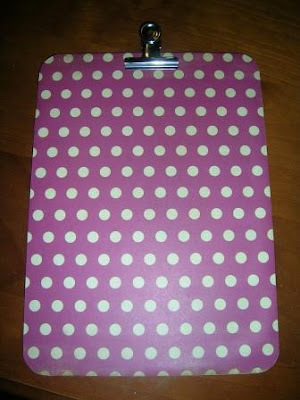 I hope the clipboards sell at the fete.